New! Jumping into C++ is now available in PDF, Kindle, iBooks, and Nook formats -- all in one package, for just $24.99. click here to buy Jumping into C++, the complete eBook pack, today, via instant download! Want to learn to code? Want to learn C++? Struggling to follow your lecturer or books and tutorials written for experts? Key concepts are reinforced with quizzes and over 75 practice problems. You'll also get over 70 sample source code files to use or adapt. The Jumping into C++ ebook is backed by a 60 day money back guarantee and is available in PDF format for you to download instantly. I wrote Jumping into C++ to be the best introduction to C++, taking nothing for granted. Jumping into C++ starts by taking you step-by-step through getting the tools you need, including access to free compiler software and building and running your first program, all in the first chapter. You'll learn the same concepts that you would if you took a programming class, plus you'll get a ton of additional information on how to design and implement more advanced programs. I'll even guide you through how to use a debugger, with four sample debugging sessions that will show you the techniques and tricks you'll need to quickly make your programs work correctly. Jumping into C++ is a great companion book to an intro C++ class. Drawing from my years as a teaching fellow at Harvard, Jumping into C++ covers all the topics you'll hear about in lecture: intro to C++, loops, functions, pointers, linked lists, binary trees and gives you in depth explanations for all of them. Don't struggle trying to figure out how to write your homework problem sets--in this book, you will get tips on writing and designing programs with examples worked through. If your instructor isn't clear, and the assignments make no sense, Jumping into C++ will provide welcome clarity. Jumping into C++ goes beyond the basics, covering advanced concepts like class design, binary trees, exception handling, and binary file IO. If you've learned some of the basics but want to really expand your knowledge, Jumping into C++ is for you. Moreover, since I've designed the book to provide thorough coverage of most topics, you'll solidify your foundation. For a limited time, at just $19.99 and over 350 pages, Jumping into C++ will teach you a powerful programming language in simple steps. If you find that Jumping into C++ just isn't for you, you have a full 60 days to let me know, and I'll refund your money immediately--that's how sure I am that I can make you a C++ programmer. PS Want to take a sneak peek at the table of contents and first chapter? Click here. Is Jumping into C++ available in hard copy format? Note that purchases of the hard-copy edition are subject to the return policies of the retailer and are not eligible for the Cprogramming.com unconditional 60-day guarantee. Is Jumping into C++ available in Kindle (mobi) or iBooks (epub) format? Can I buy Jumping into C++ from my local bookstore? The best way to buy the hard-copy edition of Jumping into C++ is to order it online from Amazon . However, if you can't order Jumping into C++ from Amazon, you can ask your local bookstore to special order a copy for you. Why does the edition of Jumping into C++ on Amazon have a different page count than the ebook available on Cprogramming.com? The hard copy on Amazon has a higher page count because each page has less text on it -- for the hard copy, we had to make the pages smaller and the margins bigger so that the physical book would be pleasant to hold and read. The content in the two books is the same. I don't have a PayPal account or don't have a credit card. Can I still purchase Jumping into C++ via PayPal? Yes! You don't need a PayPal account to pay with PayPal, you can enter a credit card number instead. If you have an ATM or debit card, you can use it exactly like a credit card to purchase the book. Just select the credit card checkout option and where it asks for the credit card number, expiration date, etc. just enter the corresponding information from your ATM or debit card, and the payment will be debited from your bank account. Alternatively, you can also pay via eCheck using PayPal. You can sign up for a free PayPal account, then enter your bank routing and account numbers to make an eCheck payment; however, if you pay by eCheck, you will have to wait several days for the check to clear before you can download the book. I bought the book but I haven't received it yet! What went wrong? While most orders are processed immediately, in rare cases, it may take up to several hours to fully process your payment, and in even rarer cases, the email with the link to download the book may not arrive. If you still have not received an email with a download link to the book three hours after purchase, send an email to webmaster@cprogramming.com with your order number or the email address you used to purchase the book. If you bought the hard copy edition and have not received it within the expected delivery window, contact the retailer from whom you bought the book. Where can I download the sample source code that comes with the book? The sample source code is packaged with the ebook, but if you lost the source code, or bought the hard copy version, you can download the source code here. 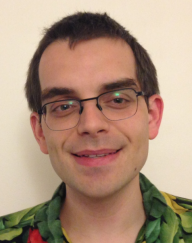 Alex Allain is a professional C++ software developer and was twice recognized as one of the top two Teaching Fellows in Harvard's School of Engineering and Applied Sciences. He helped teach both of Harvard's first two introductory computer science courses, focusing on C, C++ and Scheme. Click here to see the full table of contents and a sample chapter! Thank you for your interest in Jumping into C++! Remember that the ebook Jumping into C++ is backed by an iron-clad 60 day money back guarantee--if you aren't satisfied with Jumping into C++, even on the last day, just let me know, and I'll insist on giving you a full refund, immediately. Your personal information collected during checkout will *only* be used for billing purposes, to deliver Jumping into C++ to you and provide updates about the book.